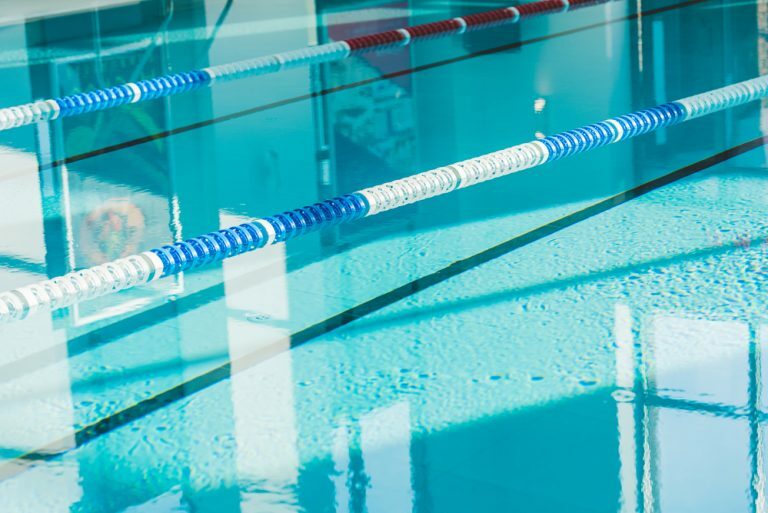 Shockingly, while the competition pool was closed, lifeguards were stationed poolside in their lifeguard chairs guarding a completely empty and quiescent competition swimming pool. A concrete peninsula separated the competition pool from the leisure pool and was used as an excellent lifeguard station to provide patron surveillance in the leisure pool. During the drowning sequence, the peninsula was either void of any lifeguards, or two lifeguards would be socializing with each other rather than watching the swimmers. The surveillance video clearly shows the young victim, who was standing in waist deep water, suddenly falling backwards beneath the surface. With one lifeguard wasted on watching an empty competition pool, and two more lifeguards talking to each other on the peninsula, only one lifeguard remained to watch the entire leisure pool with an abundance of people and activity taking place. No one noticed when the young girl disappeared beneath the surface, and she remained there for several minutes. After an extended period-of-time, two young girls, independently of each other, discovered the young girl motionless on the bottom of the swimming pool. One girl exited the pool and ran to tell her mother, and the other ran to the lifeguard for assistance. The response and resuscitation were too little, too late and the girl died of drowning. There was speculation that the young girl possessed some underlying medical maladies rendering her unconscious quickly; however, lifeguards are trained to look for and detect these sudden illnesses and respond in a timely and professional manner. The surveillance video clearly showed a lifeguard staff which was not properly trained and supervised, thus allowing them to be poorly positioned and inattentive. With clear video footage and an expert report finding the facility had a lack of institutional control over the facility and staff, a large financial settlement was quickly offered to the family. Tom J. Griffiths, Ed.D., Aquatics / Water Safety Expert with DJS Associates, can be reached via email at experts@forensicDJS.com or via phone at 215-659-2010.